Check out Alex's newest art! 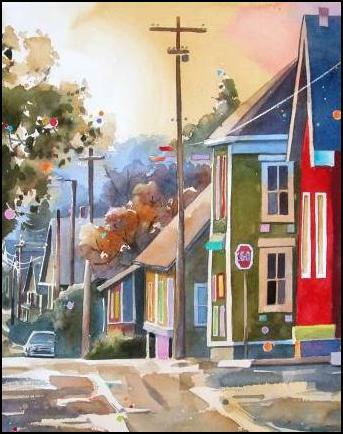 Alex Fong's watercolor world stirs the imagination with a kaleidoscope of light and color, and a bouquet of wonder and whimsy. It is a paradise where bountiful orchards, vineyards and gardens teem with birds and animals. It is a fanciful place where one might see a painted cow ambling through a crosswalk, or an elephant drifting across a summer sky. Fong's World is the online gallery of Alex's works; browse page by page and experience the world around you with new wonder!